Books 7 – 9 on my list are very… varied. Longitude is the story of John Harrison, a self-taught clockmaker who ultimately solved the difficulty of calculating longitude while at sea. Harrison was one of thousands of inventors and scientists competing for the Longitude prize offered by the British Parliament. The difficulty with longitude was that in order to accurately calculate it you had to know the time in your present location and the time in your home port down to the second. But none of the pendulum clocks of the era were able to keep accurate time in the face of pitching seas, moisture, and massive temperature changes. Harrison managed to create a series of clocks that could do just that. His most elegant and final effort looks very much like a pocket watch, but is quite a bit larger. However, Harrison’s clocks were in direct opposition to the other main group of contenders – the astronomers. Most people believed that the solution to the longitude puzzle would be found in the stars. Harrison’s timepieces were all well and good, but the common man couldn’t tell how they worked. 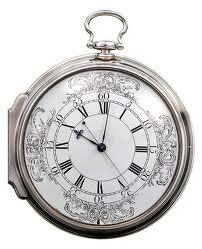 They were almost magical in an era when the best pocket watches lost several minutes per day. Harrison had to fight almost his whole life to finally be recognized for his efforts. Sobel does a brilliant job of keeping Harrison and his opponents very human. It would be all too easy to turn his nemesis, Reverend Maskalyne, into a caricature, but she manages to make him comprehensible, if not sympathetic. I actually enjoyed this book so much that I’m actually planing to watch the Nova documentary Lost at Sea: The Search for Longitude. I’ll let you know how that goes. I admit it. I read romance novels. There, I’ve said it. You can judge me if you want to. Seriously though, they’re fun. Some of them are better than others, and I’ve read some of everything. 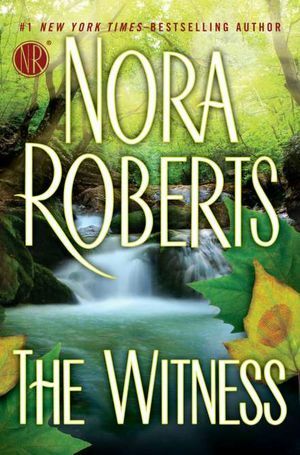 The Nora Roberts hardcovers are usually about 60% romance and 40% thriller, which is a mix that keeps me pretty happy. In a way, they’re a bit like that show “Harper’s Island” that was on a few years ago. About the time things are getting to gooshy someone gets killed. Also, there’s usually one or more dogs. This makes me happy. In this particular book, our protagonist is a young genius named Elizabeth. She’s a little bit of a cross between Doogie Howser and an abuse victim. She’s incredibly smart. She’s ready to start Harvard Medical at 16 and she’s never made a single decision for herself. Her mother has controlled everything – what she wore, what she ate, what she studied. Unfortunately for Elizabeth, her one night of rebellion goes horribly wrong. She goes out and ends up witnessing a hit by the Russian mafia. She has always done what she was supposed to and in one moment her entire life is shattered. Twelve years later a freelance security consultant named Abigail Lowry has moved to a small town in the Ozarks and caught the attention of the police chief. He’s not quite sure if he wants to date her or arrest her for the small arsenal she keeps around her house. So, he keeps going out to her place, risking attack by her remarkably well-trained guard dog, and taking her flowers. He hopes that eventually she’ll trust him enough to open up about whatever has her so scared and why the most common social interactions seem so foreign to her. This book was fun, pure and simple. It’s not incredibly complex and it’s not going to change your world. But it will entertain the heck out of you. It was especially appealing for me because of the Russian connection. Little known (or cared about) fact about your’s truly is that I was a Russian lit major in college. So I’m always a little bit tickled when I run into unexpected Russian. Book #8 is The Assassin’s Code by Jonathan Maberry. I think I’m going to save that for another post though. I’ve been re-reading the entire Joe Ledger series and so I think I’ll do one big post about all of them. Hopefully, I’ll get that up very soon.